Extreme STOL record broken, new one is 9'5"
Extreme STOL, Alaska style, featuring a landing in just 10'5"! Re: Extreme STOL, Alaska style ft. 10.5' landing! Curiouser and curiouser!! Bert Hinkler did this with an Avro Avian on the summit of Helvellyn in 1926. The articles below make fascinating reading and it's worth reading the whole thing. There is a commemorative plaque on the summit! Are the big tyres an essential part of the landing? I suppose they let your decent rate be higher without breaking the aeroplane. They're 'tundra' wheels Kit, standard kit for 'up-north'. 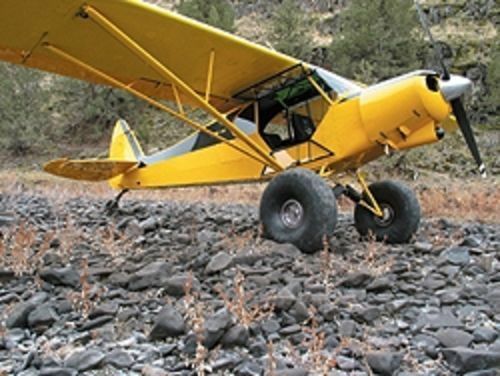 A lot of the places they go and land (or take-off from) is mostly rock or the exact opposite, soft wet river beds. Yeah, but do they help you land short? 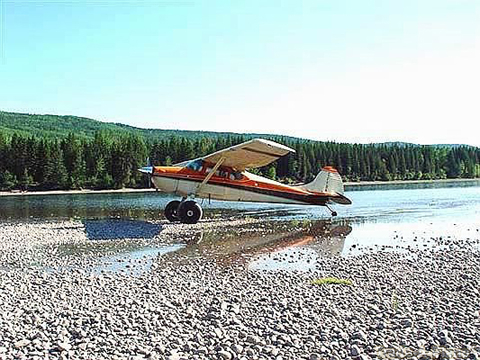 I'd have to say yes to that, making your landing as short as possible is a must because sometimes it's all you got to land on. It's like the lil yellow plane just leaps into the air. There's a company (probably more than one) who support Piper Cub bush-planes, and they have an amazing range of improved parts: it's a bit like one of those Harley Davidson aftermarket catalogues where you could, with a strong enough credit card, buy an entire new bike in pieces that had never seen the inside of Harley's factory. Amongst their most popular products are extra-large flaps and leading edge slats, which give the Cub pretty much the same capability (maybe even better) than a Fiesler Storch. For me the most impressive take-off was the stock Cessna 150 at 0:51, pure skill! It would be interesting to run a competition like that with the same pilots but only one type of aircraft.